Systematic excavation of American Indian villages in southwestern Pennsylvania began during the Great Depression as part of federal work relief projects. Since those pioneering 1930s excavations, archaeologists have recovered numerous worked animal remains, including deer bone worked into tools, bird bones fashioned into beads, and elk toe bones made into gaming pieces. 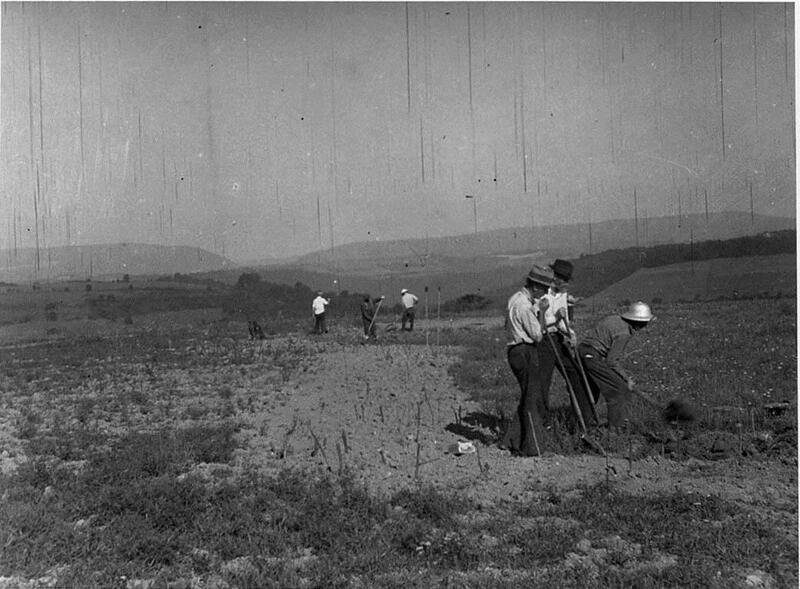 Pictured here are New Deal archaeologists working at the Fort Hill village site in Somerset County, Pennsylvania.